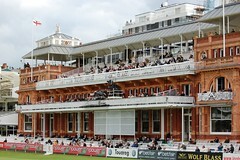 A tree lined walk way that links the Grace Gates at Lords to the Pavilion Stand that are two of the most important architectural elements and visitor attractions at Lords. 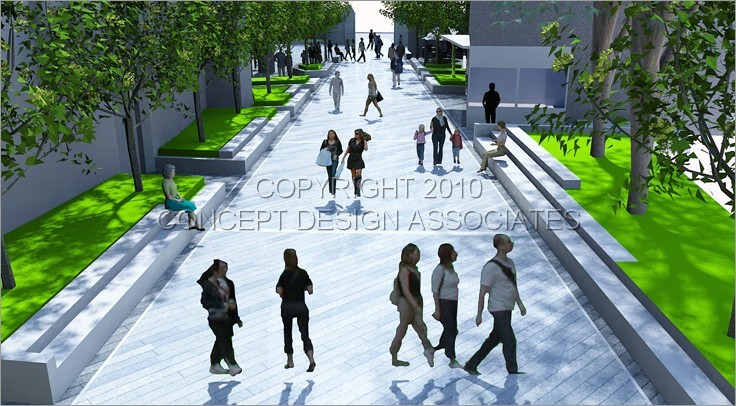 The walkway is an modern urban landscape which is bordered by planter walls clad in natural stone. This route also defines several entrance’s to other facilities and organises the space. The planter walls also serve as informal sitting and smaller performance areas for Musicians during match days. Specimen birch trees line the route and low ground cover and grass lawns encompass the soft landscape area as a verdant green edge.